Welcome to RFT Heating Limited. RFT Heating has been established for more than 10 years and during that period of time, we have built our business on reputation, word of mouth and dedication, to provide our customers with the best possible service. 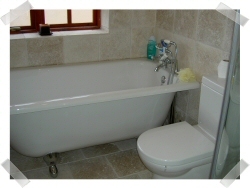 RFT provide a comprehensive list of central heating and plumbing services. Power flushing to improve efficiency and performance. Plumbing services include everything from tap replacement to luxury bathroom design and installation; Our Plumbers incorporate both modern and traditional materials and techniques in our installation, i.e. ; plastic push-fit through to copper tube, to accommodate every eventuality. 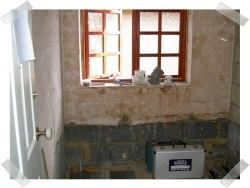 We are ex British Gas Engineers and have therefore been trained to the highest possible standards, achieving A.C.S. and City & Guilds qualifications. We are Energy Efficiency Certified and Corgi registered. Our loyal client base has been achieved over the years by putting our customer’s first, giving honest and professional advice drawing on over 30 years experience in the gas and heating industry.